Sign up for Broadjam today to follow Jim Ruberto, and be notified when they upload new stuff or update their news! 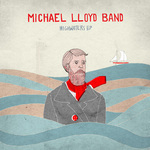 With piano-driven rock songs about bank robbers, relationships and one of the largest disasters in Colorado history, the Michael Lloyd Band is quickly gaining attention for its dynamic debut recording. Jim is co-producer, engineer, bassist and guitarist.